A witness reported seeing the suspect pull a U-turn and ram through the security gate before hitting the building. 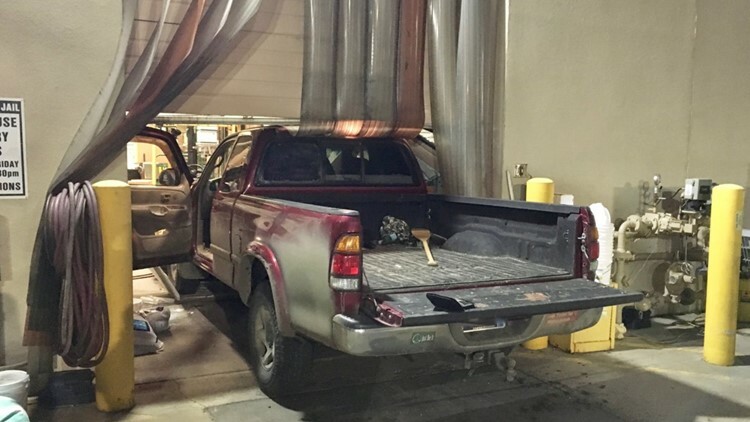 BOISE, Idaho — A Rathdrum man is in custody after deputies say he rammed his pickup truck through a security gate and into the side of the Ada County Jail early Wednesday morning. Jeffrey Dale Hines, 55, is facing felony charges of injury to a jail and malicious injury to property. 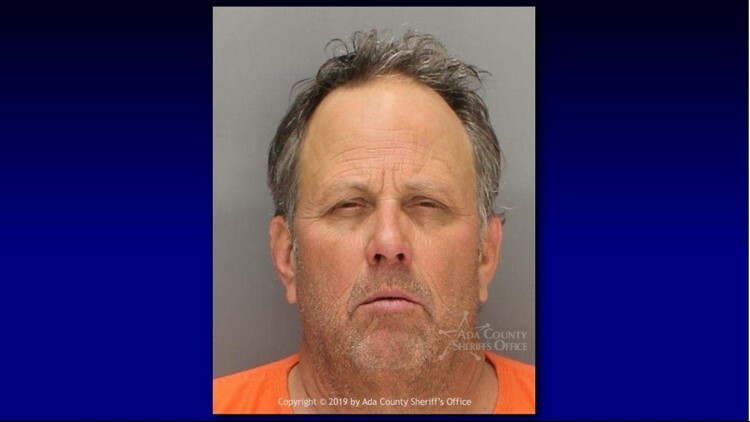 A witness reported seeing saw Hines pull an abrupt U-turn on Cole Road near Barrister Drive just after 5 a.m., then drive across the lawn next to the Ada County Sheriff’s Office and crash his truck through the gate to the back parking lot. Once through the security gate, deputies say, Hines drove through the parking lot before ramming his truck into the jail warehouse door. The pickup destroyed the bottom of the door, but did not get all the way inside. According to the sheriff's office, Hines climbed out of the truck and walked into the warehouse, where deputies nabbed him moments later. The jail was placed on lockdown and a Boise Police K-9 bomb-sniffing dog was called in to search the pickup and surrounding area. ACSO deputies also searched both the front and back parking lots. The searches did not turn up any explosives or anything else related to the incident. Hines does not appear to have any connection to any inmates currently housed in the jail. Deputies interviewed the suspect before booking him into the jail, but say they still don't know why he rammed the building. The access gate and warehouse door were destroyed by the impact, and some property inside the warehouse was damaged, but other than that, there does not appear to be any permanent damage to the jail, officials say. Hines was not injured in the crash. The suspect is scheduled to appear in court Thursday afternoon. If convicted, Hines could face up to five years in prison for each count.